Choice’s owner, Trish Taylor, is one of the two Founding Members in 1996 of the first surrogacy agency committed to serving the gay community worldwide. Her mission was providing surrogate services to people through the process of surrogacy to have their own biological connection to their children. Her wife, Gail Taylor, served from 1996 to 2010 as the second Founding Member and President of the surrogate agency. Trish is proud to have experienced the journey personally as a surrogate herself in 2002 with the birth of a healthy baby boy. 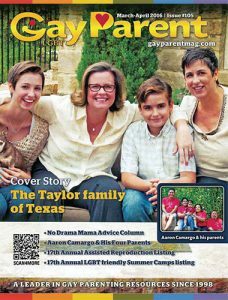 The Taylors’ two decades of leadership have blazed new trails in the arena of family due to the surrogacy process. Their vision of surrogacy and equality of all families has evolved and become more mainstream. Trish Taylor moved on in 1998 and served until 2015 as the Founder, Owner and eventually Chairman of New Life Agency, Inc.. Today, New Life remains a company revolutionizing how surrogacy, egg donation, and infertility treatments are covered through insurance programs. Taylor’s leadership is intrinsic to forwarding the vision of high quality, cost contained, reliable services in the assisted reproduction arena. Her commitment to providing choice continues today with Choice Surrogacy Inc®. (800) 362-3090 or e-mailing us at info@choicesurrogacy.com.